You might remember I participated in this last year and I’m doing it again. This auction benefits people of color by helping them get to attend conferences, where the numbers are sorely underrepresented. 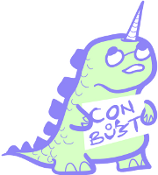 The emphasis is on SFF cons. I’ve donated a copy of Starters that includes Portrait of a Spore, and a hardback first edition, first printing of Enders. Both will be signed and inscribed as you’d like (within reason), and there will be bookmarks and the buttons that I did not make very many of (and are hard to mail) and also a cover postcard with a personalized note made out to you or a friend. It can be birthday wishes or something else (within reason), and that’s probably what makes this special. I am also allowing international readers to bid but we are retaining the right to make the final decision after conferring with the winning bidders. The books may be sent by the book depository and they do not ship to every country. We’d like the charity to benefit the most, not the oft unreliable US postal service. You might find something else you like there – beside books there are critiques for writers. It ends Feb 23, 5pm EST. Good luck! Next Post: Get a $110 gift card for $75 & books & a call from me! Thank you, D.M., for the winning bid. D.M. said they were outbid last year, so I’m especially happy.